2.Able to design machine components for static, impact and fatigue strength. 3.Able to design fasteners, shafts, joints, couplings, keys, threaded fasteners riveted joints, welded joints and power screws. 1.Describe the design process, choose materials. 2.Apply the codes and standards in design process. 3.Analyze the behavior of machine components under static, impact, fatigue loading using failure theories. 5.Design of riveted and welded joints. Mechanical engineering design, Phases of design process, Design considerations, Engineering Materials and their Mechanical properties, Standards and Codes, Factor of safety, Material selection. Impact stress due to Axial, Bending and Torsional loads. Rivet types, rivet materials, failures of riveted joints, Joint Efficiency, Boiler Joints, Lozanze Joints, Riveted Brackets, eccentrically loaded joints. Stresses in threaded fasteners, Effect of initial tension, Design of threaded fasteners under static loads, Design of eccentrically loaded bolted joints. 1.Design of Machine Elements, V.B. Bhandari, Tata McGraw Hill Publishing Company Ltd., New Delhi, 2nd Edition 2007. 2.Mechanical Engineering Design, Joseph E Shigley and Charles R. Mischke. 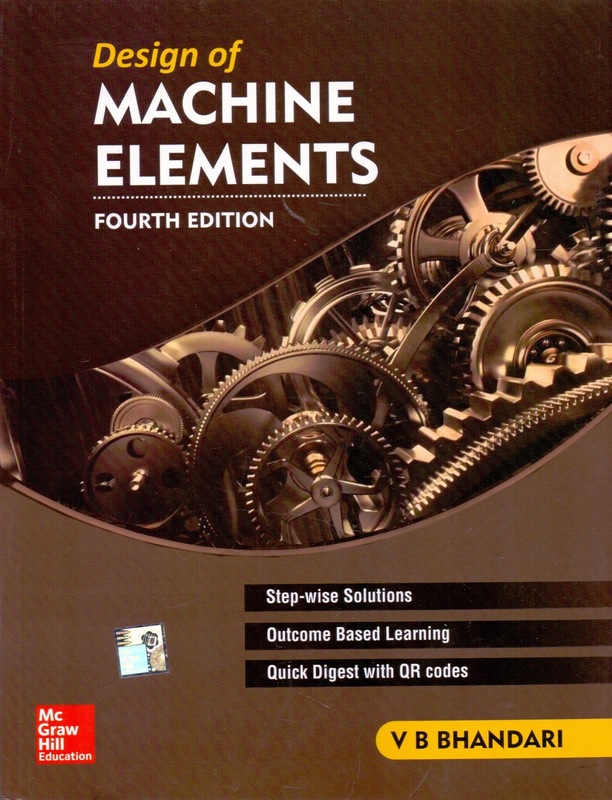 McGraw Hill International edition, 6th Edition, 2009. 1.Design Data Hand Book, K. Lingaiah, McGraw Hill, 2nd Ed. 3.Design Data Hand Book, S C Pilli and H. G. Patil, I. K. International Publisher, 2010. 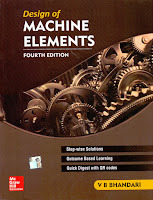 1.Machine Design, Robert L. Norton, Pearson Education Asia, 2001. 2.Engineering Design, George E. Dieter, Linda C Schmidt, McGraw Hill Education, Indian Edition, 2013. 3.Design of Machined Elements, S C Pilli and H. G. Patil, I. K. International Publisher, 2017. 5.Design of Machine Elewments -1, Dr.M.H.Annaiah, Dr. C.N. Chandrappa, Dr.J.Suresh Kumar, New Age International Publishers.